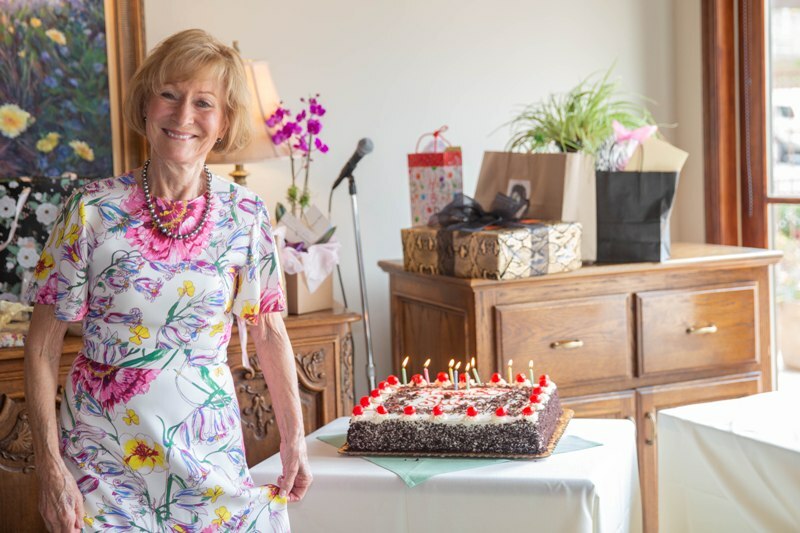 Longtime Palos Verdes resident and Silver Spur Garden Club member and aficionado, Sue Estes celebrated her 80th birthday at the Palos Verdes Golf Club. “It was a beautiful spring day and what better way to celebrate than by having a party,” shared Estes, and it was a grand bash-all while enjoying a Sunday brunch at the club. Sue, who is engaged to be married, and her fiance Jack Walston welcomed guests and hosted this special event. Barry Lamster provided the lovely background music and Palos Verdes florist decorated the guest tables with springtime floral arrangements. Following brunch was a champagne toast and birthday cake. It was a very special day to be had by all. The Palos Verdes Woman’s Club was founded 92 years ago and whose primary function is philanthropic. Their main source of revenue is through the annual Books and Authors luncheon held in the fall. Working very closely with the counselors and scholarship coordinators, they pick students who are merit based. The applicant is judged by test scores, grades, school and after-school activities, a personal statement and letters of recommendation from teachers and counselors. from Palos Verdes High School — Jeremy Adler, an outstanding jazz musician who will be attending the school of music at the University of Miami in Florida. Jessica Marelli whose passion is her Guide Dogs for the Blind. She will be attending UC Davis and continue on in veterinary science. Her award was the Lois McKie Scholarship. 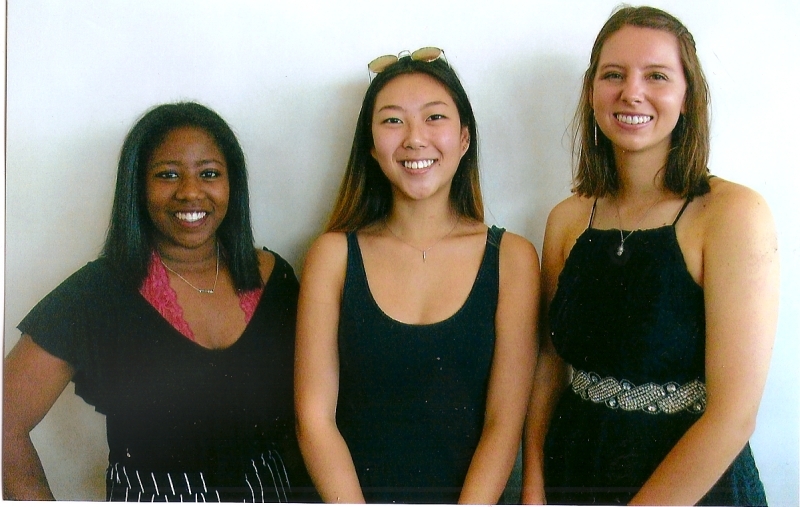 Palos Verdes Peninsula High School– Lauryn Williams who presented a monologue, will be attending Howard University in Washington, D.C. and majoring in drama. Rancho Del Mar High School — Claire Hahm , who graduated early, is attending Harbor College. She displayed her award winning art works. While at Harbor she discovered her new passion for statistics. 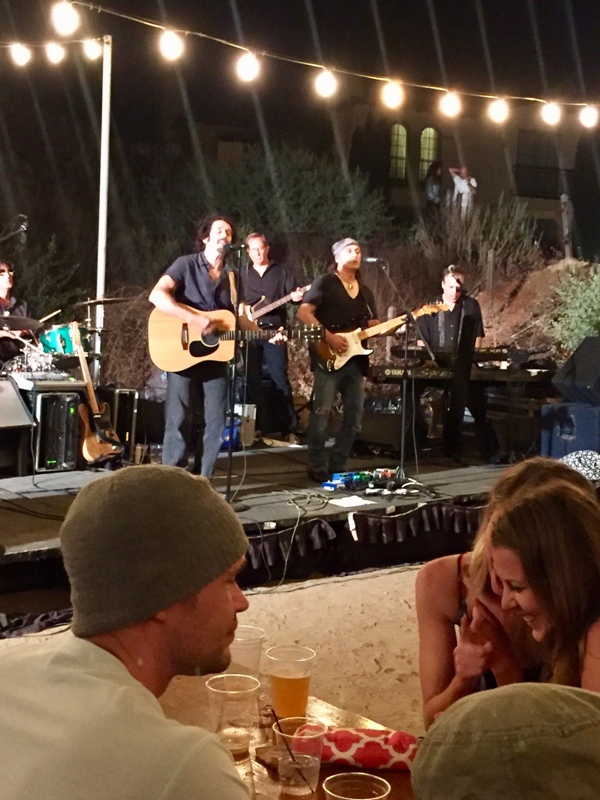 Nelsons at Terranea’s summer concert series runs through September 3rd from 6PM-10PM every Saturday night through Labor Day. Each evening a different local South Bay band will be playing with everything from Hawaiian, reggae to classic rock. Along with the music, Chef Bruce and his team put together seasonal culinary creations to complete the experience. There is also a different guest brewery there each Saturday evening pouring their favorite styles from fresh kegs. Picnic style table abound with bistro lights above, a starry night and great tunes, all at the ocean’s edge. Come out and dance your cares away! Admission is free and there’s a nominal charge for food and beverages. Go to www.terranea.com/blog/rock-n-roll-saturdays-at-nelsons to learn more. There are also summer concerts in full swing in Lunada Bay with Random Sequence-Jason Buck’s ongoing jam band playing at 5pm on August 12th and Tenn West (playing early from 3PM-5PM) on August 26th. Malaga Cove Summer Concert Series are on Wednesdays at 7PM (you may bring your blankets at 3PM to save a spot). A Peaceful Easy Eagle Tribute plays there August 1st, Detour plays August 8th and Jim Sitterly Classical Favorites plays on August 15th. Enjoy! Stanton and Rene Hunton with their children. 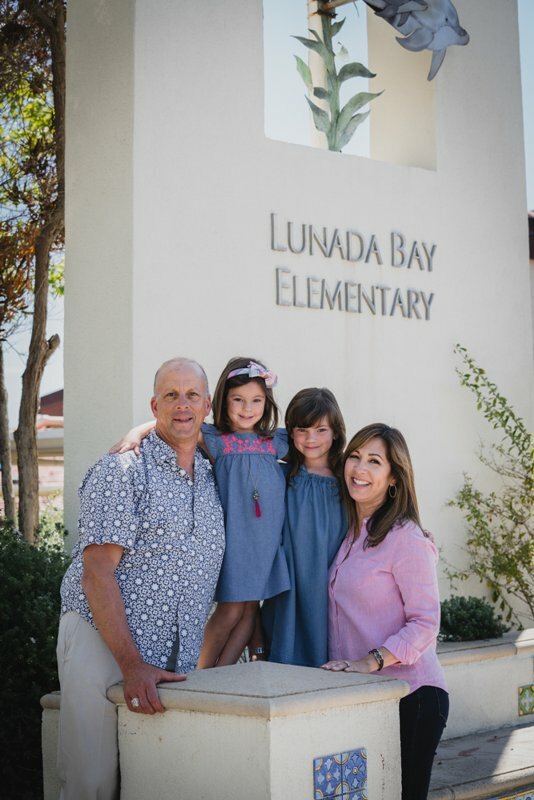 If you know anyone who has children attending Lunada Bay Elementary (LBE) and if you have spent any time in the multi-purpose room on a sweltering summer day, you know how unbearable the heat in there can get! After years of hoping the situation would get better, Stanton Hunton, a parent of two daughters attending the elementary school decided to take matters into his own hands. After months of gathering information and speaking to the management at the PVUSD, Stanton began securing bids about having air conditioning installed in the multi-purpose room. He made it happen. Stanton was able to secure 100% of the funding (around $17,500) from the PTA Gifting Program. Brinidicci Engineering was awarded the contract and provided the AC at cost. Stanton is the founder and owner of SCH&A Insurance Services in PVE. When he’s not busy with clients, Stanton and his wife Rene are both very active with Lunada Bay Community. His next passion project will be to get a new playground installed for the children at Lunada Bay Elementary. 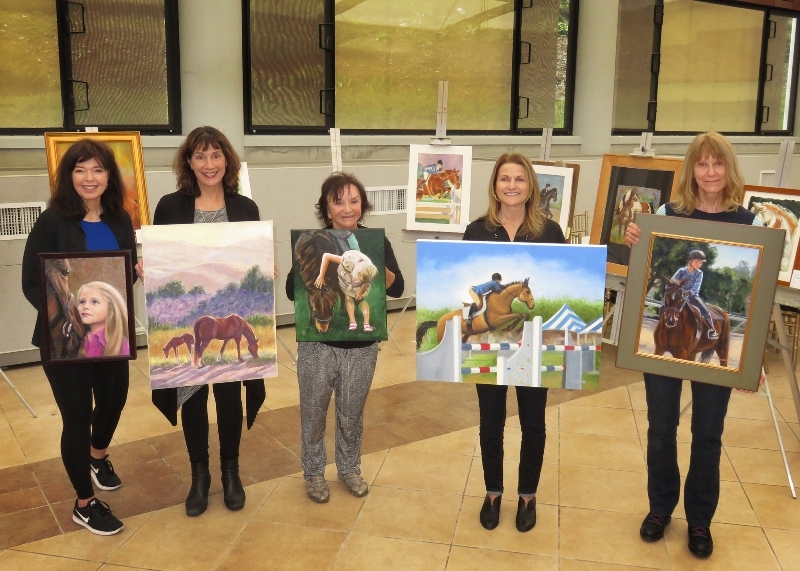 Susan Whiting, Lynn Attig, Val Simon, Chris Centofante and Joy Gonzalez.